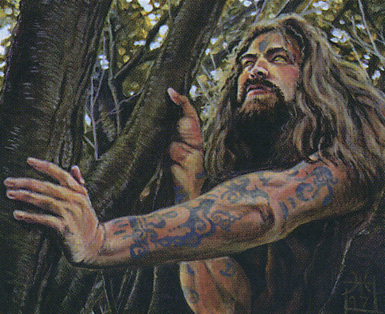 Hello again, Premodern humans! 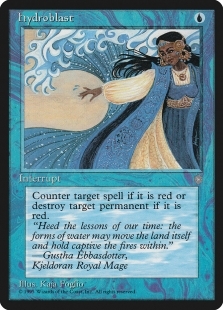 Tempest block notably contained four broken green two-drops that are currently banned in Legacy: Earthcraft, Survival of the Fittest, Oath of Druids, and Hermit Druid. 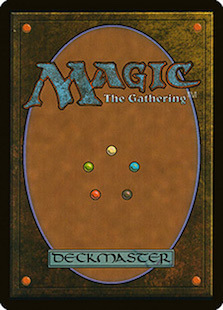 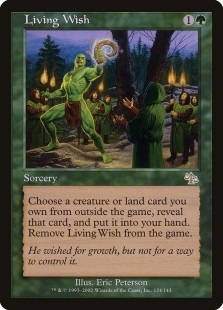 Earthcraft is also banned in Premodern, and plenty of decks have already been built around Survival of the Fittest and Oath of Druids. 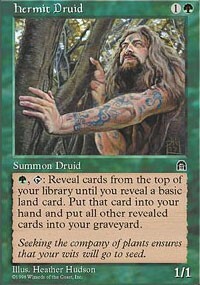 My friends, let me introduce you to Hermit Druid. 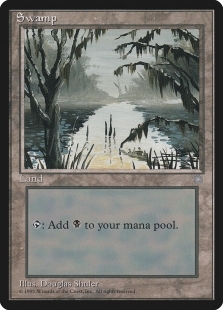 The first thing that jumps out about Hermit Druid, is that if you don’t put any basic lands in your deck, you can simply activate it to flip over your entire library into your graveyard. 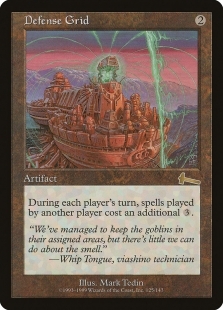 Sure, you could use it as a grindy card advantage engine, like a Land Tax that also stocks your graveyard, but that whole flipping your deck over thing is…in a word, busted. 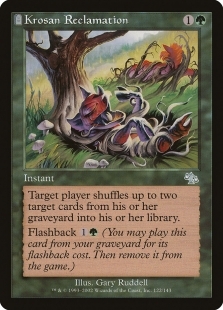 There are a number of things you can do when your entire deck, or most of your deck, is in your graveyard. 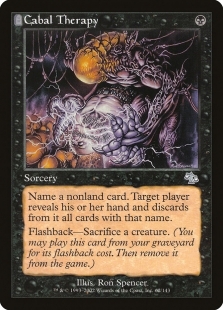 You can go crazy with Ashen Ghouls, Ichorids, Nether Shadows and Krovikan Horrors. 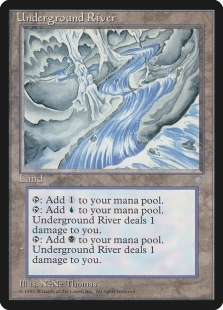 You can use Songs of the Damned to make tons of mana and Drain Life your opponent. 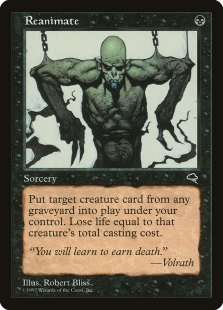 You can cast Living Death or Haunting Misery for the win. 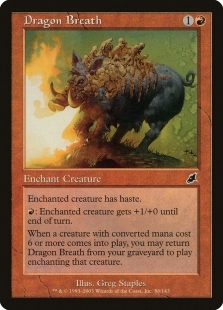 But the most straightforward thing to do is just make one giant, hasty trampler and attack. 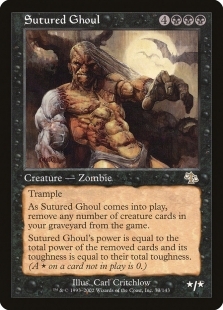 The reason this deck was originally called Angry Ghoul, in Extended circa 2002, is that it used Anger to give your Sutured Ghoul haste, as winning the game within a turn of flipping over your deck is kind of important. 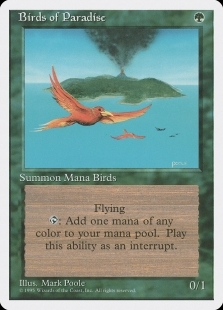 The thing about Anger is that it requires you to have a Mountain in play. 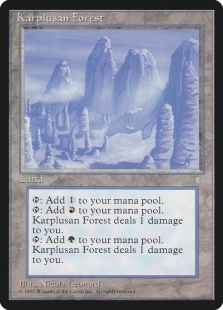 A Mountain? 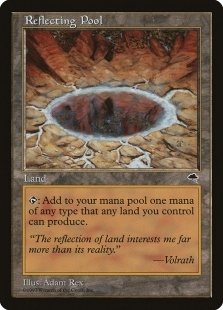 You mean like, a basic land? 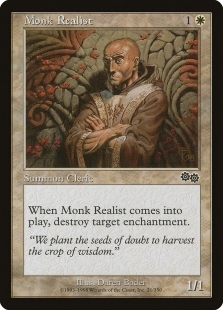 Yeah, not the best with Hermit Druid. 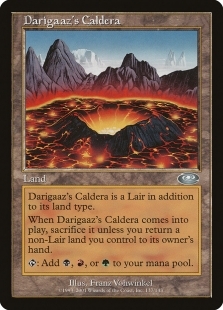 The deck was still very functional, but you had to bend over backwards to try to get the Mountain into play before comboing off, or possibly be forced to do it over two turns. 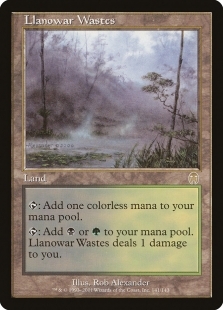 Scourge brought a powerful replacement for Anger in Dragon Breath, and now the need for the basic land was gone. 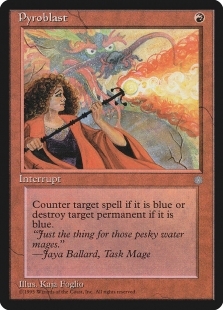 We’ve talked about the haste enabler, but let’s talk about how the combo actually works. 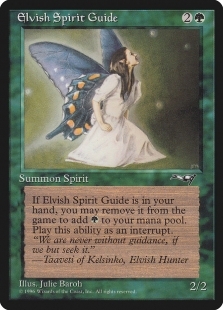 Step one is to get a Hermit Druid into play. 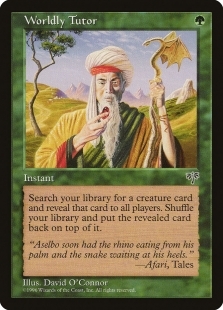 The Druid’s main weakness is that it’s a fragile card, but we are loaded up on proactive disruption in the form of Duress and Cabal Therapy, as well as a substantial tutor package to add redundancy. 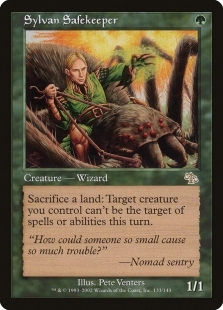 Worldly Tutor is an efficient way to find the Druid, and Living Wish can tutor up the single sideboard copy, as well as a number of other utility creatures to answer hate cards or permanents that make it difficult to combo off. 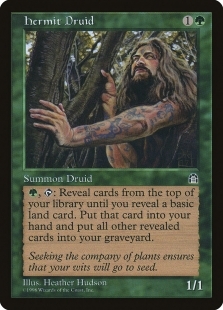 Step two of the combo is to activate the Hermit Druid and flip your entire library into your graveyard. 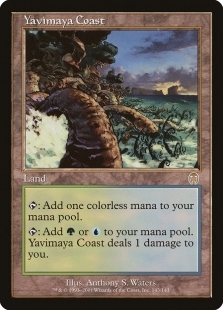 This can be done at the end of the opponent’s turn, or during your upkeep after the Druid comes into play, if you have enough mana to complete the combo. 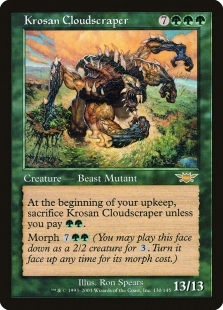 Once your graveyard is full, you simple need to reanimate the Sutured Ghoul, exiling some number of Krosan Cloudscrapers to make it huge, give it haste with Dragon Breath, and attack. 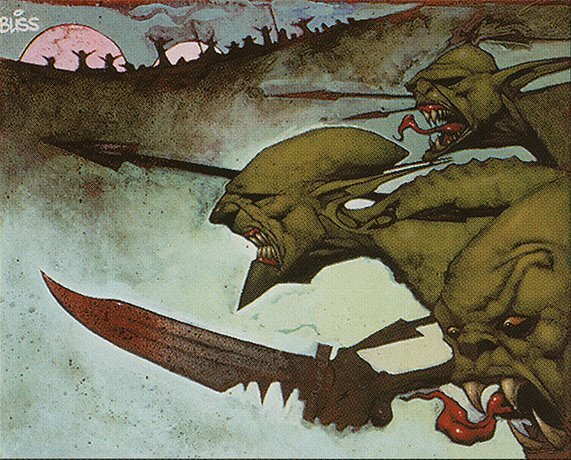 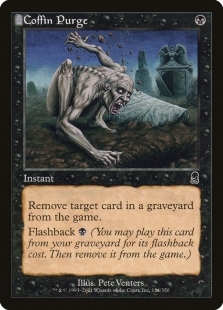 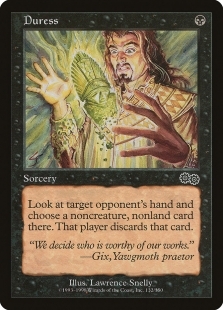 There are only two reanimation spells in the main deck, a single Reanimate and a single Exhume, so most of the time you’ll also need to flashback Krosan Reclamation before you draw for turn, effectively returning one of those spells to your hand, which you will cast main phase on the Ghoul. 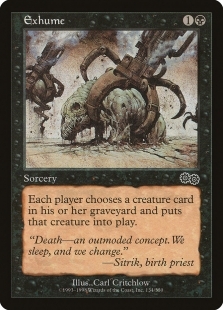 To activate Hermit Druid, flashback Krosan Reclamation and cast Reanimate, you need a total of four mana on the combo turn (or five if you’re using Exhume). 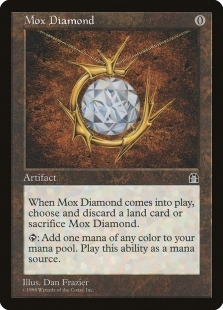 Four or five mana isn’t a whole lot, but the deck has plenty of mana acceleration in the form of Birds of Paradise, Mox Diamond and Elvish Spirit Guide, to make sure it happens consistently on turn three, or turn two with a god hand. 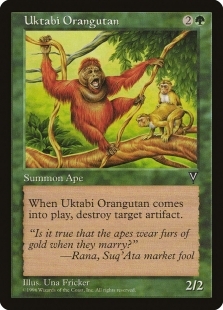 So that’s it! 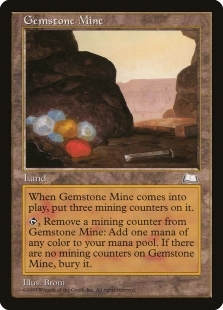 Let me know what you think, did I miss any important cards or useful tech? 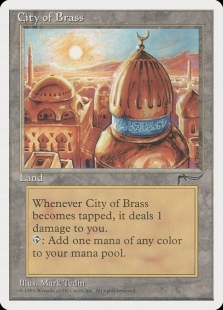 As always, leave comments in the Premodern Facebook group or hit me up on Instagram @mtgdojoera.